Discover the unique benefits you’ll enjoy when you get dental implants in Honolulu, HI. Dealing with tooth loss? If so, you may be pulling your hair out trying to figure out what to do to get your smile back on track. Don’t worry; this is where our Honolulu, HI, restorative dentist Dr. Ken Yasuhara comes to the rescue. We pride ourselves on creating customized dental restorations to ensure that your new tooth looks and feels exactly the way you want. Want to learn how dental implants can help you? Well, you’ve come to the right place. 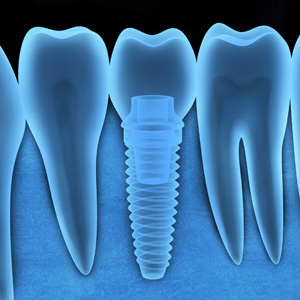 An implant is a tiny metal post or screw that, in essence, functions just like tooth roots. In fact, an implant is designed to take the place of your missing tooth’s roots. In order to do this, an implant will need to be placed into the jawbone where the tooth once was. This provides a strong, long-term foundation from which to support a false tooth. What should I know about getting dental implants? Implants are the next best thing to real teeth and they can last the rest of your life if you care for them properly. Of course, this doesn’t always mean that an implant is the best option for replacing your missing tooth or teeth. It’s important that you understand what goes into this treatment so that you can decide, along with our Honolulu dentist, if this is the right tooth replacement option for you. 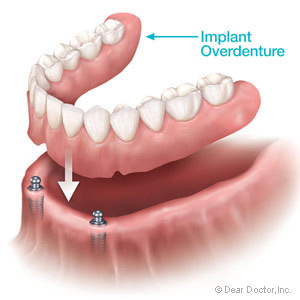 In order to get an implant you will need to undergo minor surgery right here in our office. This procedure is performed under local anesthesia, and it allows us to place the implant into the jawbone. An implant is made from biocompatible metal, which means that the jawbone and oral tissue will treat the metal implant like it’s a natural part of the body. As the bone and tissue heal from surgery, they will grow around the implant and fuse together with it to become one strong unit. 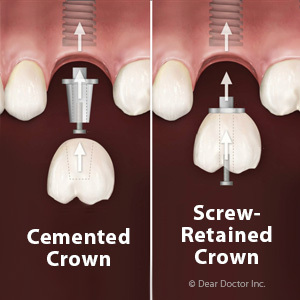 Sometimes another minor surgery is required in order to place a second part of the implant, known as the abutment, on top of the implant to connect the metal post with the dental crown. Whether you require this surgery or not will depend on the type of dental implant you receive. While an implant is designed to replace a single missing tooth, if you are missing some or all of your teeth then multiple implants can be placed along the arches of the jaw to support full or partial dentures. Implants are a great option for healthy adults who are missing one or more teeth. Implants are not right for children or young teens because their jawbones are still developing. If you are an adult faced with tooth loss in Honolulu, HI, we know that nothing is more important than getting your smile back. Let our aesthetic dentist Dr. Yasuhara and his dental team help you. Call us today to schedule a consultation.